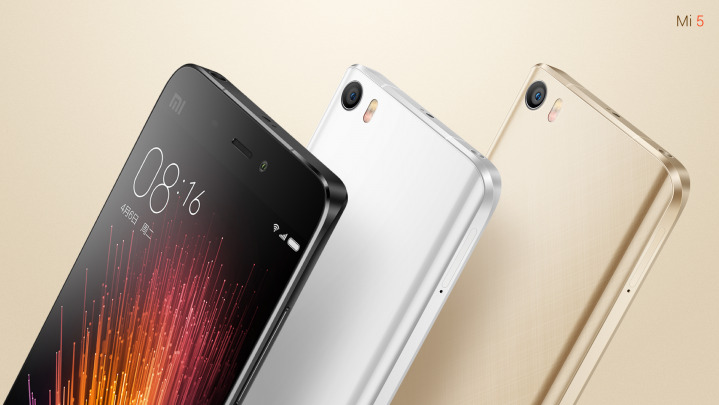 Xiaomi has took the wraps off its latest flagship smartphone at Mobile World Congress 2016. 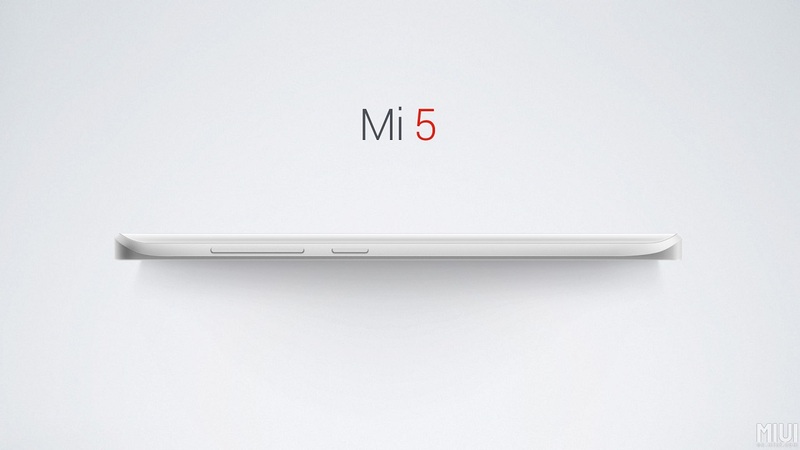 The Mi 5 is the long-awaited successor to the Mi 4 (announced in 2014), and it's the most beautiful flagship from the Chinese smartphone manufacturer. Under the hood, the new handset packs some beefy hardware. Qualcomm Snapdragon 820? Check. 4 GB of LPDDR4 RAM? Check. The Mi 5 features a 5.15-inch 1080p display and comes in two variants: the regular model with 3 GB of RAM paired with 32 or 64 GB of internal storage while the Pro version, which comes with 4 GB of RAM and 128 GB of onboard UFS 2.0 storage. 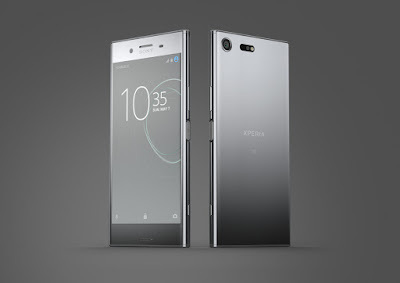 On the rear of the device, you'll find a 16 MP rear camera with Sony's IMX298 sensor, 4-axis optical image stabilization and dual-tone LED flash, paired with a large 2-micron pixel 4 MP selfie camera on the front. There's also a home button that double as fingerprint scanner just below the display. The phone's chassis is crafted with metal and 3D glass back (or ceramic back for the Pro) with curved edges for more comfortable grip - akin to the Mi Note. Other features included a 3,000 mAh battery that supports Quick Charge 3.0, LTE connectivity, USB Type-C and runs on MIUI 7 on top of Android 6.0 Marshmallow. 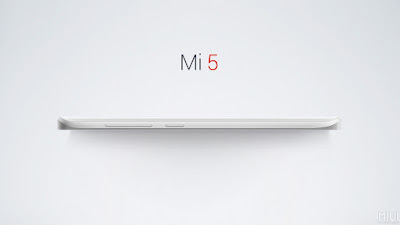 The Mi 5 has a dimension of 69.20 x 144.55 x 7.25 mm and weighs only 129 grams (3D glass back). In addition, the 3D ceramic body is durable and wear resistant up to 8H on the Mohs hardness scale. The Xiaomi Mi 5 will be available in White, Black and Gold. What's really shines is its retail price. 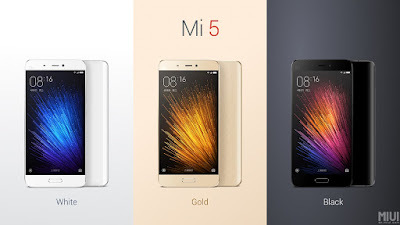 The base model Mi 5 -- 3 GB RAM and 32 GB storage -- priced at 1,999 Yuan (about RM1,245), the 64 GB version goes for 2,299 Yuan (about RM1,431) and finally the Pro variant -- equipped with 4 GB of RAM, 128 GB of storage and a ceramic back -- retails at 2,699 Yuan (about RM1,681). Last but not least, there's no word on global release yet. 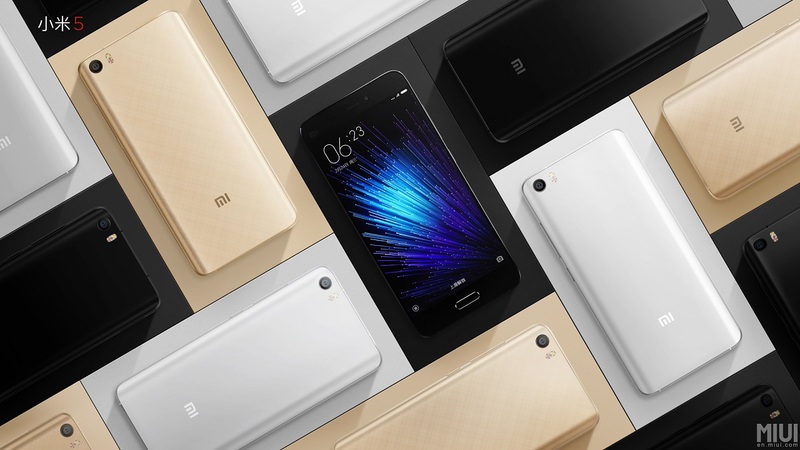 UPDATE: Xiaomi Mi 5 has officially landed in Malaysia for RM1,549 and it will be available starting from 25 June 2016. 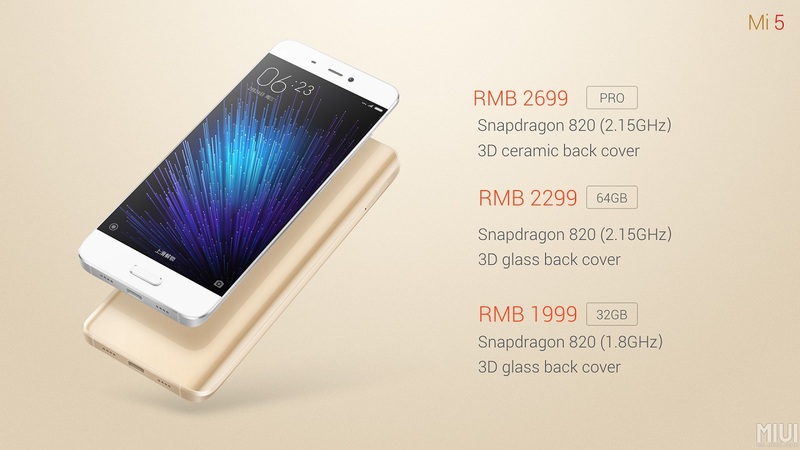 The Malaysia version of Mi 5 comes with 3 GB of RAM and 32 GB of UFS 2.0 flash storage.